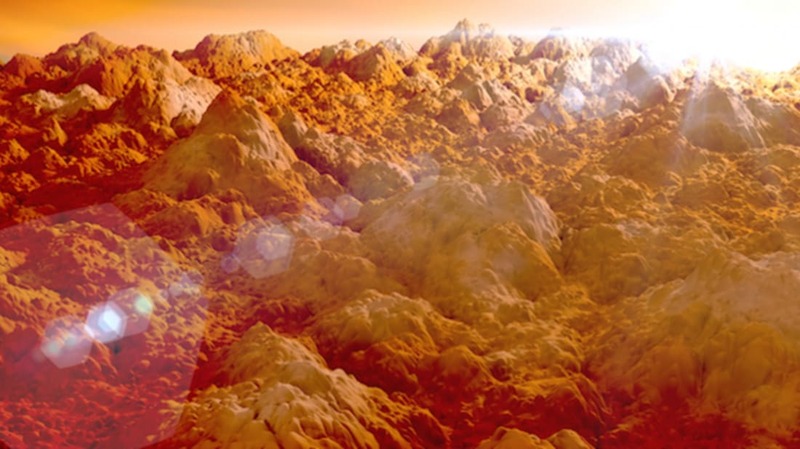 Why are the mountains and volcanoes on Mars so much taller than those on Earth? Several things contribute to Mars’s huge volcanic peaks. Mercury does not have them, and it’s smaller than Earth, too. Venus’s are smaller than Earth’s, but Venus is lighter and should have higher volcanoes. Lower gravity allows volcanoes to grow higher—if you have them. Mars is large enough to have had volcanoes in its past (though it does not have active volcanoes now). Weathering is very low on Mars, so large volcanoes stay large. Mars probably didn’t have any (or much) plate tectonics in its past. This means that heat from the interior had only a few places to escape from (hot spots) rather than all sorts of places to leak out (like the Ring of Fire). Combine all of this together, and you get a small number of huge eruptions on a low gravity planet with very little weathering.